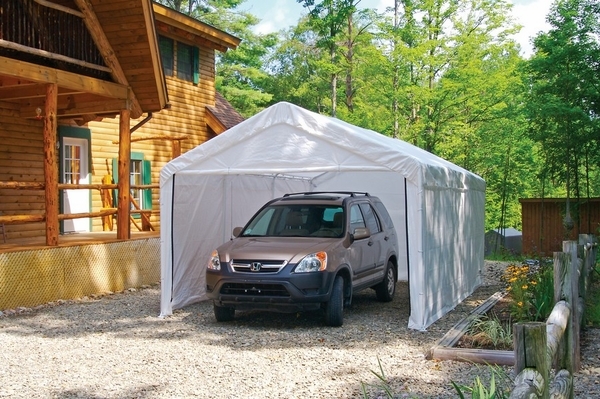 This Shelter Logic enclosure kit will turn your 10' x 20' canopy into a fully enclosed shelter by adding side walls. The kit contains one solid rear panel and two side walls as well as a double zippered front door panel for easy access and bungee cords for attaching the panels to the 2" frame. The walls are made of 3-layer waterproof polyethylene fabric that has been UV treated. A one-year warranty applies to this item. * Please Note: Canopy and frame are not included with this kit. it came well packed and had all the items i need to install it. I had purchased earlier the canopy cover and decided to add sides and the front and back. I was really pleased with the customer service and the quick delivery of the sides and ends kit. I am enjoying the canopy enclosure, it fits my needs exactly. ProsEasy to install, easy follow directions.